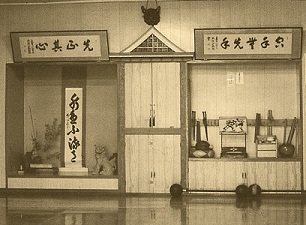 One of the aspects that attracts public towards martial arts school is certainly the mysticism surrounding it. Shrouded in mystery, martial arts schools promises great transformation to anyone willing to go through its program, which isn't unlike religious cults. 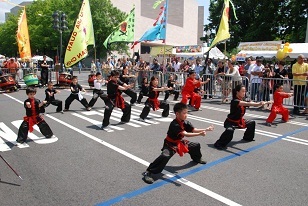 Knowingly or not, many of the same martial arts schools share the same tactics as cults. Please note that the author is not trying in any way to associate martial arts with cults. The text only serves to identify tactics that could be borrowed from cults to enhance the martial arts management. The information contained in this text can also serve to warn people against the same tactics. No harmful information will be found here. You should be accessible to all members but he should present his knowledge as being rare, expensive and secretive. By being accessible, you create deeper bonds with your followers who may request even more of your presence. When you are teaching people, focus only on that individual; do not get distracted by anything or anyone around. Remain calm as if all-knowing. Calmness implies mastery of situations and its immediate environments, as if everything happened just as you thought it would. Keep past experiences mysterious, make your knowledge seem like the result of an enlightening past experience or of training with an enlightened master. 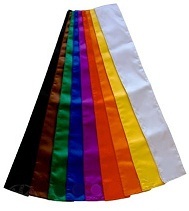 Use coloured sashes, belts or a ranking board to establish the hierarchy in your organization. Make some exercises, knowledge or access to training equipment exclusive to higher ranked members. To progress through ranks, followers are to follow a rite of passage, if successfully passed, granting them access to next level of ranking. The objectives between each level should be clear and achievable. It is important that grades accurately reflect the amount of skill and dedication of the follower on which it is bestowed. Special titles can be given to denote higher echelons of your hierarchy. The new martial art should offer a new system to follow, a style which is presented through words, not actions. Actions are too clear and readable, rendering them unimpressive. In the presentation of the new art, include the promise of something great and transformative. Words of great resonance but cloudy meanings, fancy titles and vague concepts will create the impression of exclusive knowledge that few will understand. This will stimulate peoples imaginations who will start fantasizing, making connections to what they internally yearn, seeing what they want to see. If done properly, you should attract a group of over-eager students. Your training grounds should dazzle your followers with visuals. Posters of Chinese medicine meridians, foreign language motivational idioms, training devices and other artefacts could be used to distract the students when they are not training. They will also add a touch of legitimacy to your style. During training sessions, emphasis should be put on the physical aspect of the art instead of the intellectual part. Make the students sweat until the endorphins kicks in, giving them an extra sense of joy. Use technological gadgets, physical fitness studies and other “unorthodox” information to enhance the teachings of your style with pseudo-scientific venues. There are two dangers that may harm the organization: Boredom and Scepticism. Boredom will make people go somewhere else. Scepticism will make people to take a step back and think rationally. As soon as your students reach a certain level of proficiency, arrange public demonstrations for your students to take part of. Local schools, malls, parks, cultural events are all places suitable for demonstrating the skills and values of your style. Demonstrations have the power to make demonstrating followers feel a sense of superiority, will impress outsiders into joining and will give your followers a goal to pursuit during training time. After 7-8 years of diligent training, students of higher ranks may gravitate towards teaching. They may start teaching lower ranked followers and when ready, open up their own branch, sharing your teachings with more willing followers. When this happens, share with your students the secrets of running a successful school and give them your support. The golden rule is to never be seen as hungry for money and its power. While the organization is still at an infancy state, it is recommended to hide whatever wealth is accumulating from its activities. There is a certain romance to following a “financially poor” teacher. Once the organization is stronger, then you can choose to display more riches. Make it seem that your wealth comes from the truth of your methods. By surrounding yourself with riches, people will believe the soundness of your system. You can make it seem like important people, like movie actors, governmental agents or army superiors, are paying you big bucks for private (and confidential) lessons. Your followers will copy each and everyone of your move in the hope that the same results will come to them. Time and boredom will demagnetize the group. In order to keep them united, do as all religions have always done: setup a “us vs. them” dynamic. Your followers should believe they are part of an exclusive club, a brotherhood, united by a bond of common goal. To keep your followers united, manufacture an outside group that are ignorant and jealous and who are out there to discredit your organization. The outside group may include traditional martial arts schools, new age Mixed Martial Arts or Reality based fighting schools. Have no enemy? Invent one!